Tables differ from a Range of data. A Table is a range of data with a Name and properties. 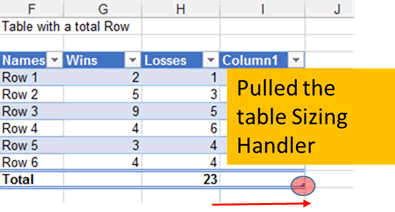 For example, you can add a formula in a cell of a table and it will automatically apply this for all the cells in the same column (assuming the column was empty at first). This is very useful but at the same time, it requires a lot of netness in how you work. The table is the range of data converted to a table. You can see that this table is automatically colored with by default with an alternate shading or banding to better distinguish the data. 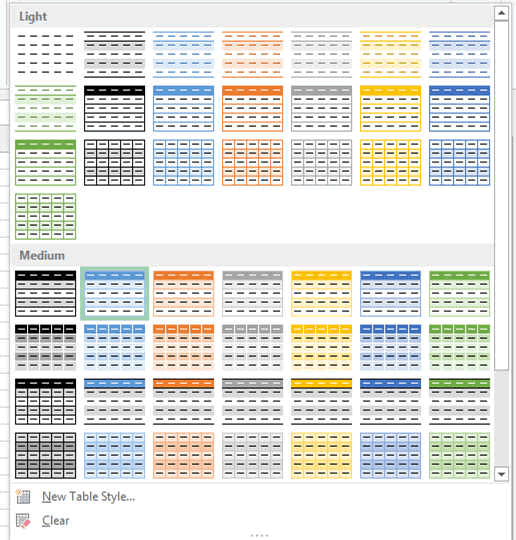 When you click in the Table, the ribbon Table Tools Design appears. It allows you to change the various items regarding your table. IF you prefer not working in a table mode, then you can go back with the button CONVERT TO RANGE. Useful. You can see that the table has a name, in this case it is called Table6. 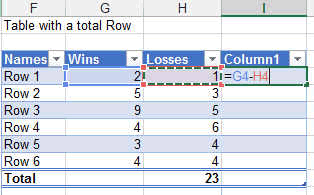 You can resize the table if for example you add numbers in a row or column or just want to add a column with a formula. Here the example where we pull the sizing handler and add one column automatically named column1. When you press enter, it automoatically populated the next rows. You can see also that it gives you the choice to do it or not. In the Table Tools Design Ribbon, you can change the table design by just clicking on the table style button.